#1 in Super Bowl SOV with no TV? No problem. 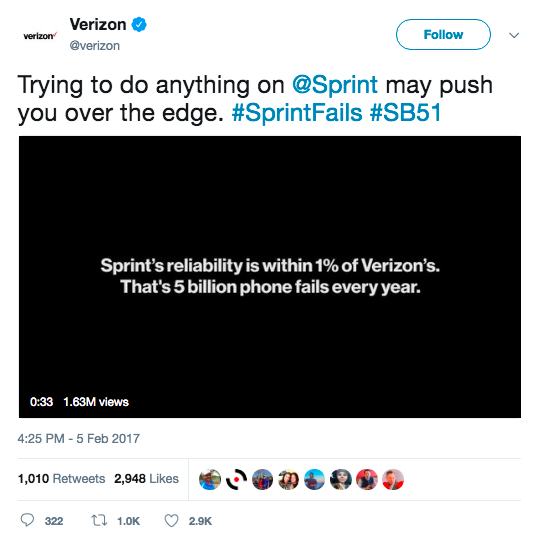 In 2017, Verizon decided to skip the paid-ad cashier and go all-in on social. In a highly competitive segment — with Sprint and T-Mobile bashing Verizon — we carried out a Social Response Lab focused on highlighting our competitors' pain-points and debunking industry myths.